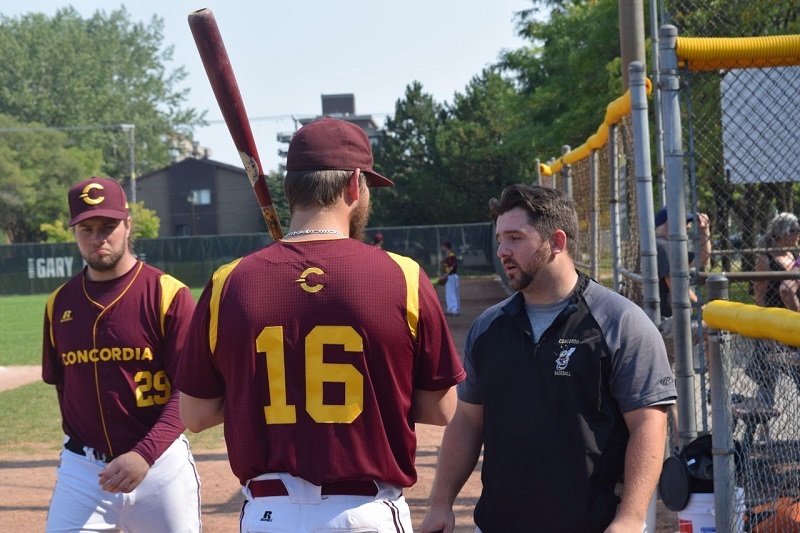 The Concordia Stingers baseball team is inching closer to receiving varsity status. Baseball head coach Howie Schwartz said the team, currently listed as a club on their website, will be upgraded to a lower-tier varsity status, similar to McGill’s baseball team. “We’re in the process of getting things organized right now, a lot of things are getting revamped,” Schwartz said. “It’s on the queue to be done.” It may take time for the team to be officially deemed varsity, but Schwartz assures it is on the way. Schwartz, who spent the summer heavily recruiting in both the United States and in western Canada, said that varsity is a huge factor in the team’s ability to recruit. “We need to be considered varsity in order to recruit the way I want to recruit,” the head coach said. With varsity status, the baseball team can receive up to $10,000 in funding. Archive photo by Ben Fraser. Schwartz had his eyes on four players in particular, however all four decided to go to other schools with better offers, including a National Collegiate Athletics Association (NCAA) junior college in Kansas. In addition to gaining interest from recruits, varsity status, regardless of the tier, brings more money into the program, and that is something Schwartz welcomes. In addition to the varsity status, the Stingers baseball program, through various fundraisers, can take in anywhere from $5,000 to $10,000 every year. The team will use the money for various academic financial awards, and to cover travel expenses. Schwartz also said the money will be put to use in order to schedule a series of exhibition games against NCAA opponents in the United States. In the meantime, Schwartz is focused on the current season and the ultimate goal, as they want to “go deep into [the Canadian University World Series] and win.” The Stingers’s cross-town rivals from McGill, who are striving for their fifth-straight Canadian University World Series title, don’t concern Schwartz. “I think we have a team that can win it,” he said. The Stingers finished fifth at nationals last year, and have a chance to build on that result this year.